After launching the flagship Mi 8 series and the budget Redmi 6 series, Chinese smartphone maker Xiaomi is currently working on its mid-range phablet dubbed as the Mi Max 3. The device recently received 3C certification, revealing that it will be launched very soon. The company’s CEO, Lei Jun had earlier revealed that the Mi Max 3 will be launched in July and this was also revealed in a leak. Now, the specifications and an image of the display panel has been posted by a user on Weibo, revealing major details of the upcoming device. The Xiaomi Mi Max 3 will run on Android 8.1 Oreo with MIUI 10 skinned on top. 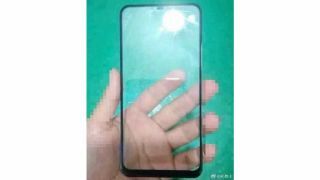 The leaked display panel image has revealed that it will feature an 18:9 display with a chin at the bottom. It is expected to sport a 6.99-inch full HD+ IPS LCD display, up from the 6.44-inch display of the Mi Max 2. In terms of performance, the Mi Max 3 is expected to be powered by the recently announced Qualcomm Snapdragon 710 SoC coupled with Adreno 616 GPU. In terms of memory, the device is expected to be launched in 4GB RAM and 6GB RAM variants. Coming to the camera department, the Mi Max 3 is expected to feature a dual camera setup at the back consisting of a 20MP primary camera and a 5MP secondary camera. On the front, the device may sport a 20MP selfie camera. Another upgrade the Mi Max 3 has received is in the battery department as it will be powered by a slightly bigger 5,500mAh battery. It will have standard connectivity options and a rear mounted fingerprint sensor.